Courtesy of having the best record in baseball this year, the Red Sox have home field advantage throughout the playoffs. 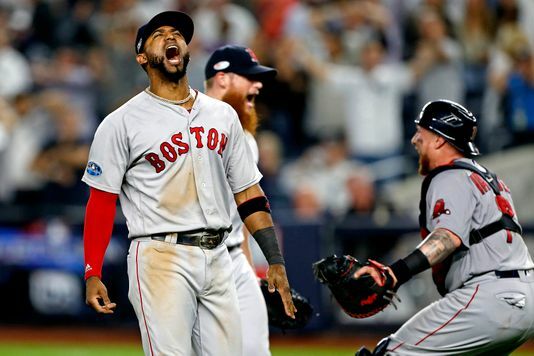 Everyone prefers playing at home and Boston will be happy that they have this advantage going into the tough upcoming ALCS against the defending World Series Champion Astros. Boston held the best home record in baseball in 2018, going 57-24 at Fenway this year. Players are obviously more comfortable playing at home. They get to sleep in their own beds, spend time with their families, and play in an extremely familiar stadium with the majority of support going to them. Fenway itself also has some specific home field advantages, with rowdy Boston fans and a quirky wall in left called the Green Monster. The weird dimensions of the ballpark can be challenging for opposing players who are not used to it. Marwin Gonzalez, the likely left fielder for Houston, has played only 24 regular season innings and 2 postseason games last year in left field at Fenway. The chance of Gonzalez misplaying a ball off the monster is far greater than the chance of Andrew Benintendi misplaying one. Even for an extremely strong team like the Astros, playing away can be very difficult. In their 7 game ALCS matchup against the Yankees last year, the Stros’ lost all 3 games in NY. If they are unable to win any in Boston this year, the Red Sox wouldn’t even have to win 1 in Houston. Although plausible, it’s much more likely the Astros would win at least 1 of a potential 4 in Boston. The Astros have been surprisingly strong away this year though, and actually had the best record in the majors away from home! This doesn’t guarantee success in Boston though, as even a battle tested team will find Boston in October difficult. The Astros will also likely have to face colder temperatures up here in the northeast. The Sox are used to playing in the cold at this point, whereas Houston is much more comfortable playing in warmer weather or under Minute Maid Park’s retractable roof. Playoff atmosphere in any ballpark is bound to be crazy, but in historic Fenway Park, it’s on a whole different level. Hopefully the Sox can use their home field advantage well and give the Fenway Faithful a lot to cheer about in this upcoming series.